Small, locally owned and operated painting business is now available for and scheduling any size interior/exterior residential painting projects throughout Nashua, NH and the surrounding areas. Call and/or e-mail me with a brief description of the project that needs to be completed and I will contact you ASAP to schedule an appointment for an estimate. This is a fully insured, EPA lead certified and NH State registered business. We offer free estimates and competitive rates. 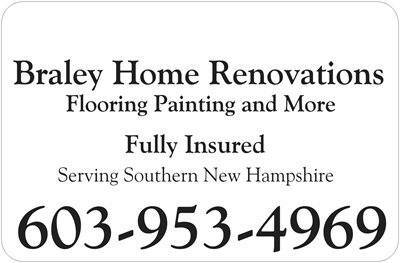 Please contact Nathaniel at 603-953-4969 for your free estimate.